This project involved the design and development of a 1U 19inch rack based, DSP processing system for a client. 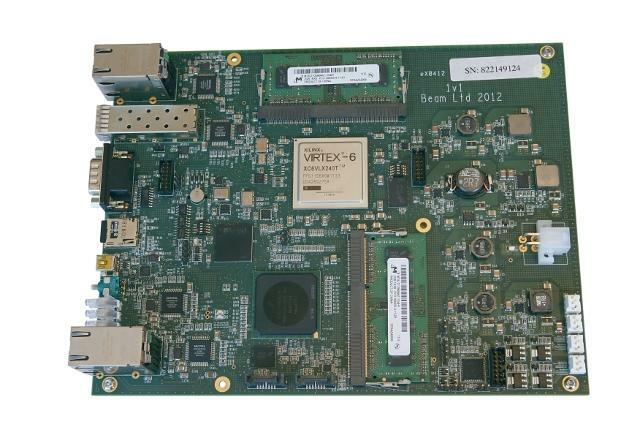 The 1U 19inch cased unit employs two NetDsp processing boards. The board NetDsp board uses a dual core Freescale P1022 CPU controlling a powerful Xilinx Virtex-6 FPGA device to handle the fast DSP processing. The design employs DDR3 memory, PCI express communications, Fibre and Gigabit Ethernet communications interfaces. The work included the board design including PCB tracking, 1U enclosure design, FPGA Firmware in VHDL, Linux based system and control software. The system was taken through complete CE testing at York EMC. A complete 1U unit with two boards uses about 60 Watt's of energy when fully processing the data streams. The new unit replaces an existing 8U system that used about 600 Watt's. The new system also has a far smaller footprint and provides many extra features.